Want to travel the world on a budget? Flight deal site the Airfare Spot has created a new wallet-friendly itinerary that circles the globe. For less than $1,400, you could fly to 13 airports and see almost as many cities on a 19-day adventure. Your around-the-world adventure departs from Newark Liberty International Airport on February 3, with a quick layover in Reykjavik, Iceland, before you head to London. This leg costs only $146 (or you can fly out of John F. Kennedy International on a nonstop flight for $195). After two days checking off the top things to do in London, you can take Pegasus Airlines to the fishing-village-turned-booming-Middle-Eastern-metropolis Dubai. This flight costs $136, with a short layover in Istanbul. In Dubai, don’t miss the world’s tallest building, a drink at the world’s most luxurious hotel, and a few other unique experiences. We recommend cycling through the desert and eating plenty of Emirati mezzes. On February 11, you can take a $195 flight on CEBU Pacific Air to Singapore (with a speedy bathroom break in Manila). We recommend staying at one of Singapore's sleek new hotels, like the Philippe Starck-designed South Beach hotel. Twin rooftop terraces boast infinity pools and sweeping city views. 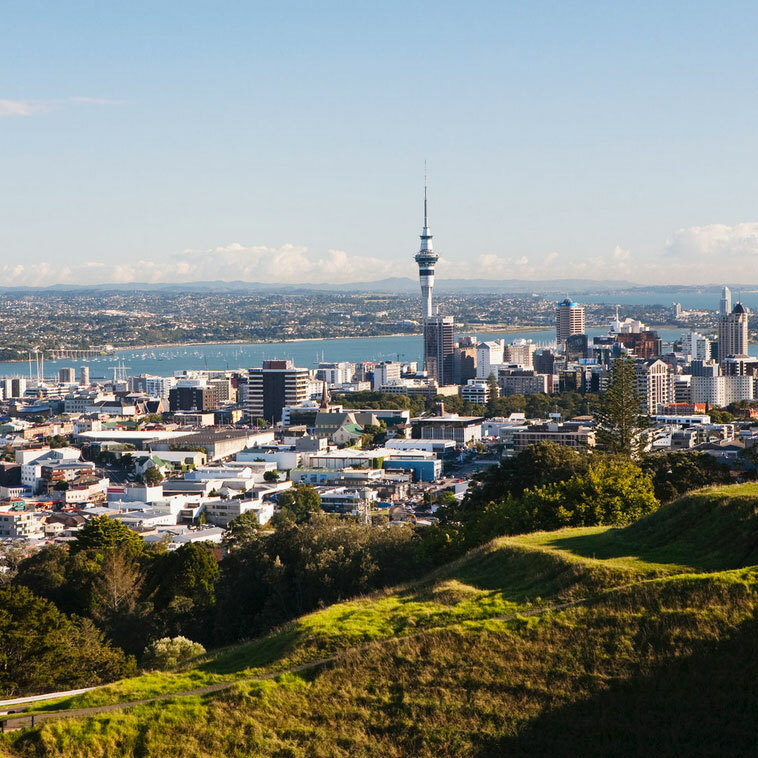 Head to Auckland on February 14 with Air Asia. This $304 flight includes a 14-hour layover in Melbourne—just enough time to get a taste of the Australian city—and this option saves hundreds of dollars over the nonstop option ($319 versus $775). Board Hawaiian Airlines on February 18 for a flight from Auckland to Los Angeles. The $451-flight gives you four hours in Honolulu, if you want to stretch your legs. For only $138, you’ll fly back to New York City on JetBlue on February 21. If New York City isn’t your final destination, consider this just one more stop on your whirlwind adventure. But after covering some 28,000 miles, you may want to head straight to one of the city’s best hotels for a nightcap and a good night’s sleep. Seeking a different—but still cheap—itinerary? Many legs of the Airfare Spot’s last around the world trip are still valid. You’ll visit major cities like Stockholm, Bangkok, and Honolulu. Melanie Lieberman is the Associate Digital Editor at Travel + Leisure. Follow her on Twitter and Instagram at @melanietaryn.